Should not have to pay for features to manage how calls are handled. Be reasonable and allow a customer who pays some of the highest rates of all carriers to get proper blocking for free. I’m not paying $3.99 extra for it. Lately, I get 3-6 spam calls daily. 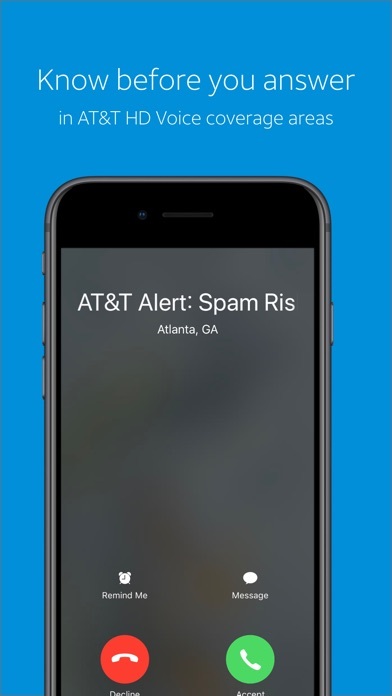 Every-so- often the app warns me that an incoming call is spam. Most of the time I need to manually report and block these unwanted calls. 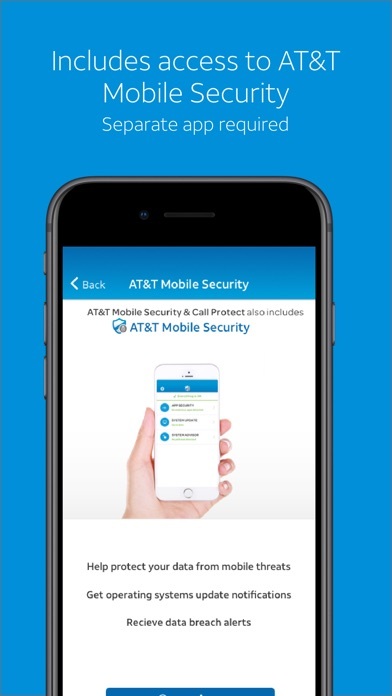 I’m becoming disappointed in this app, and the fact my carrier offers a higher level of protection... but it will cost me! I feel I pay plenty already. 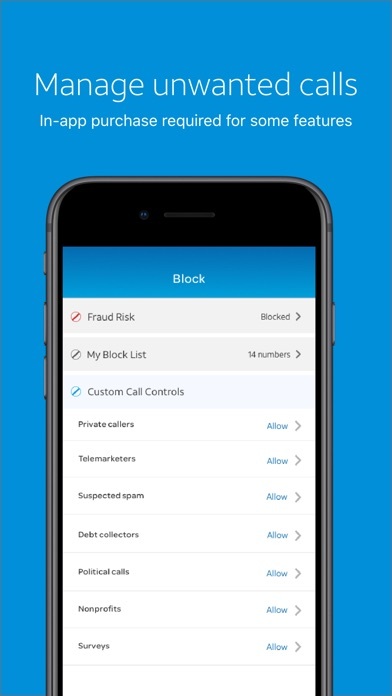 This app does not block calls unless you subscribe to the $4/month “plus” service. Even the spam call detection is very poor, it maybe flags 1 out of every 20 spam calls I get. Completely useless!! There are better 3rd party apps that do this that are cheaper. I thought it was poor service that AT&T don’t include this for free for their subscribers. What’s the point of this app??!! 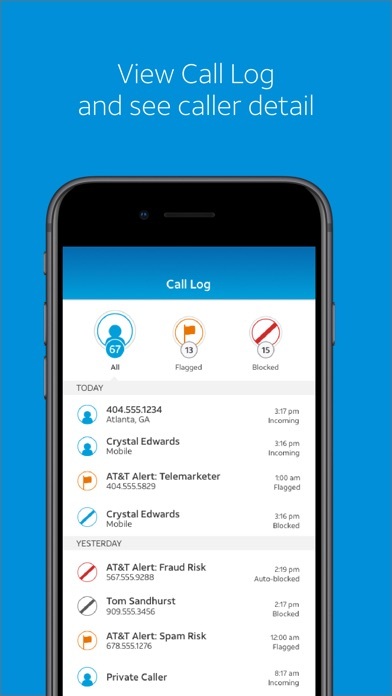 I block the calls myself on my recent calls then check on this app and they aren’t blocked!! Why would I want to double the work of having to manually block the calls twice?? Am I confused about how the app works?? Won’t send the PIN number via text to complete the setup process. No matter where I go in Texas I always get a good signal. My calls are crystal clear both sending and receiving. I have been using this app for over a year. It used to block some telemarketers and flag some when the phone rang. It no longer does any of that. 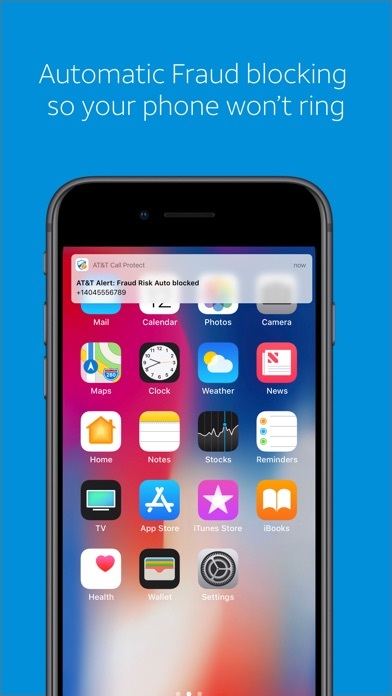 All spam calls make it through and none are being identified.